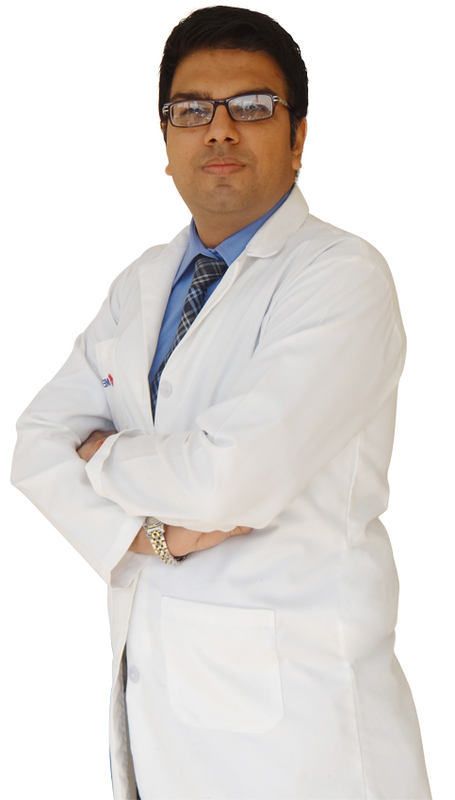 Dr. Mradul Garg is a highly skilled Advanced Laparoscopic and Bariatric Surgeon based in Delhi/NCR, he specializes in minimally invasive surgical procedures (basic and advance), Gastroinstestinal Surgery and Bariatric Surgery. Currently he is working as a Consultant and Head of Unit 2, Department Of Minimal access, GI and Bariatric surgery Metro Super speciality hospital, Faridabad. Dr. Mradul has completed his MBBS in 2007 and MS (Surgery) from Kasturba Medical College, Manipal (one of the prestigious colleges in medical sciences)in 2010. 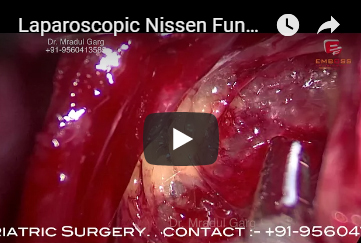 After completing his MS , Dr.Mradul Garg did fellowship in minimal invasive surgery recognized by WALS and SAGES in year 2010 from World Laparoscopy Hospital, Gurgaon. He worked as Assistant Prof in the Department Of surgery , Kasturba medical college where he sharpened his Laparoscopic skills. He worked in Department of surgery, Dr Ram Manohar Lohia hospital , Delhi where he was Instrumental in organising a live operative workshop with all Pioneer Laparoscopic surgeons of Delhi /NCR performing the operations. Having keep interest in Laparoscopic surgery he then completed his FMAS recognized by AMASI in year Jan 2013 followed by FIAGES fellowship in September 2013. He has participated in various training programme organised by Jhonson & Jhonson in field of Hernia and Bariatric surgery. He was selected for FNB (MAS) and worked for 2 years in Department of Minimal access , GI , Bariatric surgery in BL Kapoor Superspeciality Hospital, which he passed in September 2016. I have keen interest in doing complicated surgery laparoscopically. I have performed thousands surgery by laparoscopy successfully at tertiary care centre. I look forward to serve the society with minimal morbidity. very well, my case was bit complicated, so i was scared but Dr. Mradul Garg handle it with extreme care and expertise. It took 4 hours for the surgery, and the result was satisfying, am in good condition now, with no pain. I am thankful to Dr. Mradul for treating with care. I came to Dr. Mradul Garg with recurrent ventral Hernia with severe pain. dr. garg treated me very well,my case was bit complicated, so i was scared but Dr. Mradul Garg handle it with extreme care and expertise. It took 4 hours for the surgery, and the result was satisfying, Am in good condition now, with no pain. I am thankful to Dr. Mradul for treating with care. Had a wonderful experience with Dr. Mradul Garg and his entire staff during my Mother’s Laparoscopic Removal of Foreign Body. They explained the procedure well and took the time to thoroughly answer all my questions. The staff was extremely helpful with the Insurance work as well. I was very pleased with my experience at Metro Hospital, Faridabad. I can be a hard critic of emergency care places and the people employed by them when my Mother doesn’t feel well and the result could have been much less than pleasant. We were referred to Dr. Mradul Garg by one of our known Doctor friend. Planning for a major surgery like Gall Bladder stones can make you very anxious but Dr. Mradul paid extra attention in explaining the whole procedure and how he will use latest Laparoscopy surgery technique which significantly reduces hospital stay and helps in speedy post op recovery. He and his team prepared well for the op and making me comfortable while in hospital stay as well as post op follow up visits. I am thankful to him for the care provided and taking good care during my treatment. We came to India from Iraq. We came to Metro Hospital and admitted here and met Dr. Mradul Garg. He explained to us the process of the treatment. The problem diagnosed was related to intestine and colon. We admitted to the Hospital on 9/11/2016 and discharged on 16/11/2016. And thanks to Allah (God) we have had the operation, which was successful. Thanks to Dr. Mradul for the successful operation. We wish for him success. We are very thankful to him. Powered by : Mudrak Infotech.